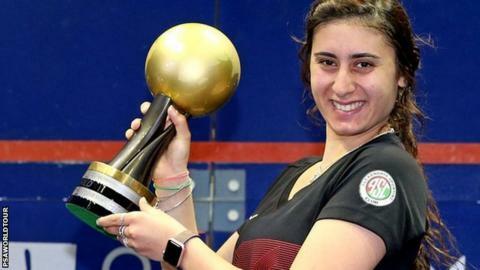 Egypt's Nour El Sherbini defeated compatriot Raneem El Welily in front of their home crowd to retain her title at the Women's World Championship. El Sherbini, who became the first Egyptian and the youngest player ever to win the world title last year, won 11-8 11-9 11-9 in El Gouna. "I'm over the moon," the 21-year-old told the PSA. "Two or three months ago I wouldn't have imagined I would have won because I haven't won a title this season." England's Laura Massaro fell short in her attempt to win a second world title, losing to El Welily in the quarter-finals. How to get into squash - a fun and excellent workout which you can pack into a lunch break.